Getting subscription boxes is like getting present every month! You never know what you're going to get until you unbox it! Lust Have It has the best selection when it comes to beauty samples and I like the theme that revolves around the season! This time it is all about the summer youthful glow! Lust Have It is an Australian beauty subscription service that brings up to 5 deluxe samples and a bonus sample right in your front door for $19.95 / month! They also offer other subscription boxes like Beauty & Fashion (mixture of hot trends for both beauty and fashion) or Eco Box (organic and natural beauty products). For more information about the whole service they offer, check the website here. I also have a discount code which will give you $5 off your first subscription box! I have always been a The Body Shop fan ever since my high school days. My favourite ones was their body butters and shower gels. They have the most glorious scents, it lasts through out the day and it is so affordable! I'm so happy that Body Shop has expanded their range and dived into more skincare and perfume. Ofcourse there is always their staples but they have revamped their whole packaging and new skincare line is to die for! The Body Shop Oils of Life Intensely Revitalising Facial Oil (sample size, full size 30ml RRP $54.95) - Infused with three different seed oils from different parts of the world (Black Cumin seed oil from Egypt, Camellia seed oil from China and Rosehip seed oil from Chile), a daily facial oil was created to help revitalise skin, replenish moisture, and revive radiance of the skin. the lightweight formula lets the oil absorbed into the skin quickly, leaving it velvety soft. Which also means that it can be used daily without making the skin look greasy and oily. I know this is perfect for summer to get that natural glow, but I'm actually excited to use it for winter! Not only it will help with moisture but I can also mix it with foundation to achieve a more glowy look. 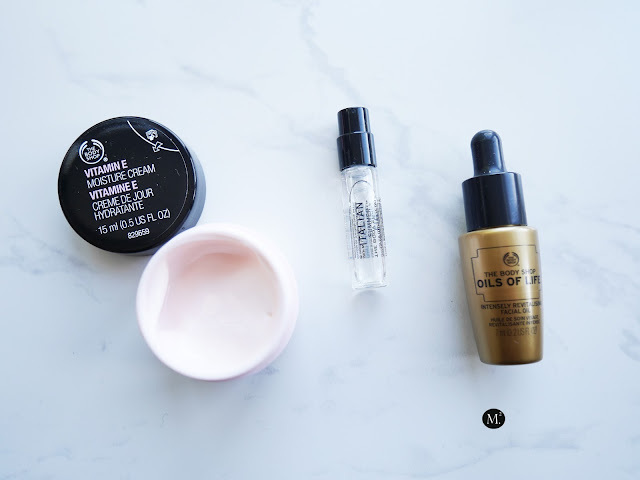 The Body Shop Vitamin E Moisture Cream (sample size, full size 50ml RRP $24.95) - I love the Vitamin E range and my favourite has to be the sleeping moisture mask! Though it said sleeping mask, I used it before I apply makeup. Simply apply the mask and leave it on for 10 minutes then take it off with a face towel drenched in luke warm water. It leaves my skin very soft and supple! I'm excited to receive the Vitamin E Moisture Cream! It will be a perfect night time moisturiser for me. I do get random dry patches from acne medication, so this product will definitely come in handy! The Body Shop Italian Summer Fig Eua De Toilet (sample size, full size 50ml RRP $36.95) - I'm not really a fan of perfumes or eau de toilet. I'm more of a body mist spray kind of gal because it is light. Strong scent triggers my allergy for some reason. Italian Summer Fig is a pretty interesting scent. Judging by the name, I thought of a woody kind of scent based of fig. The description says, bitter-green freshness of grape leaf and milky summer fig notes, with comforting woody facets. Upon spraying, I could smell woody elements with a mixture of sweet shampoo scent! I'm not a fan but as the scent fades, it actually smells good! A little goes a long way, atleast for me and it held up through out the day. 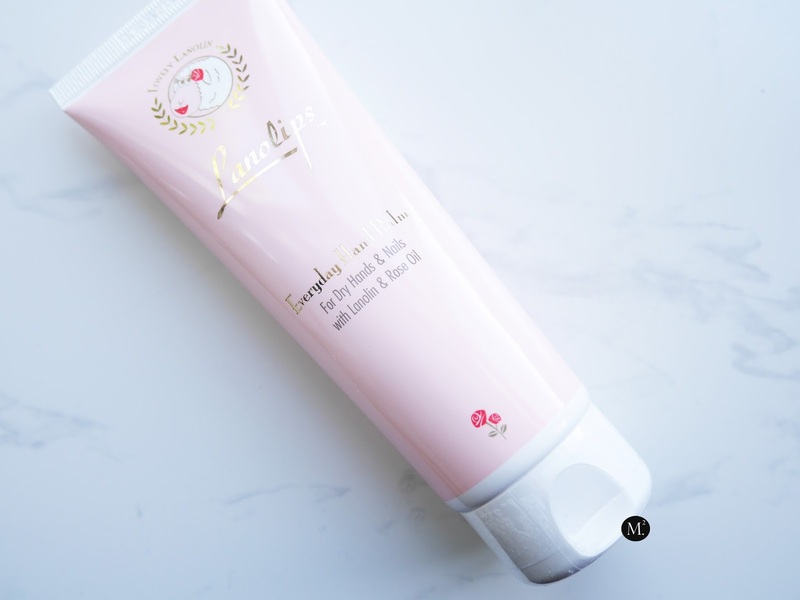 Lanolips Everyday Hand Balm (full size 50ml, RRP $22.95) - Thank you Lust Have It for saving the day! I have been looking for a great hand balm since I do suffer from real dry hands due to excessive hand washing! Now that it is autumn, my hands do get dry pretty quick and a good moisturiser is much much needed. Thank goodness because the product is full size and will last me for awhile! 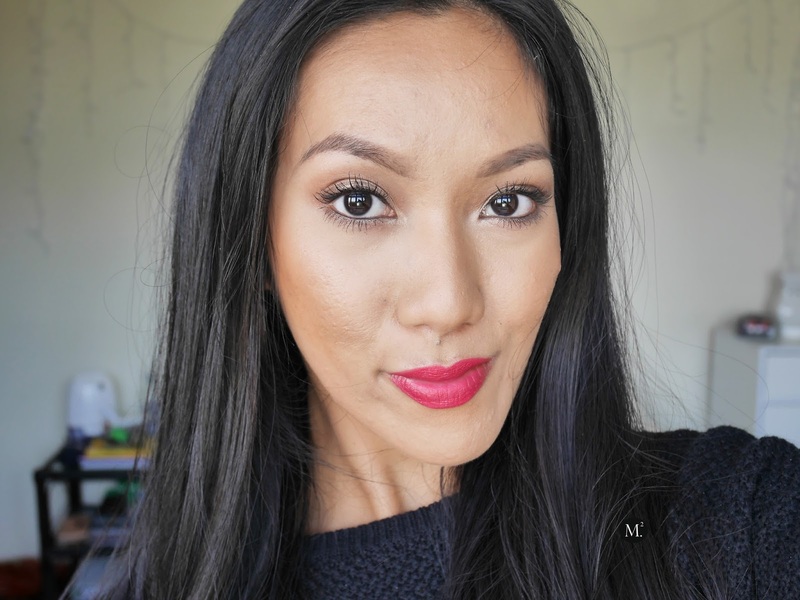 Mellow Cosmetics Matte Lipstick (full size, RRP $18) - A highly pigmented lipstick that glides ever so smoothly on the lips. The shade is called 'Danger Zone' which is a fuchsia colour that is perfect for a bold summer look! For a matte lipstick, it is surprisingly moisturising. I don't know about the longevity as I didn't wear it through out the day. But I guess it will leave a nice stain on the lips. The colour comes off as bright red as supposed to it being fuchsia because of how pigmented my lips are. I actually quite like this colour and how it complements my skin tone. I would totally rock it through winter. 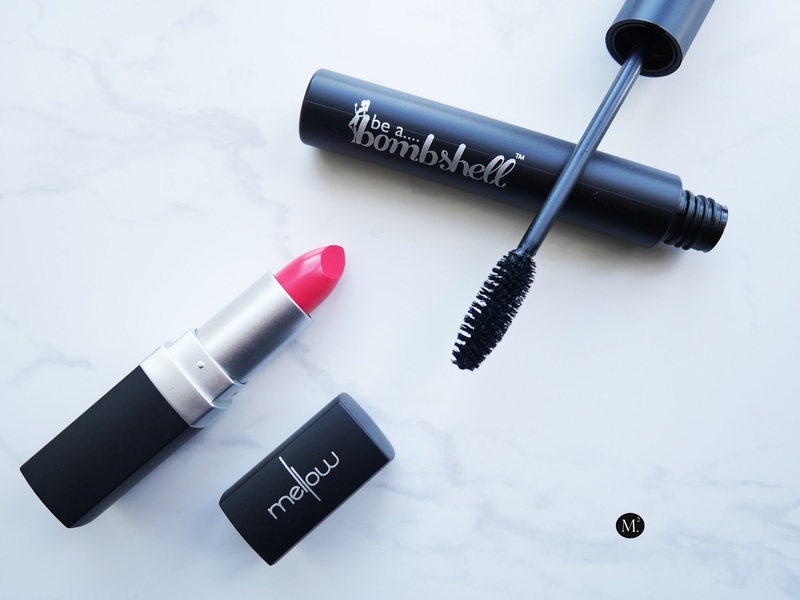 Be A Bombshell Mascara (full size, RRP $21) - Volumizing mascara that gives a extra full and feathery look. I personally love lengthening mascara, but it won't hurt to try a new mascara that offers a volumized and natural looking lashes! 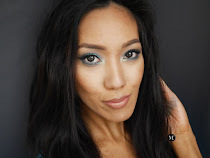 This is a perfect match with the Mellow Cosmetics lipstick for a day time look! Garnier Fructis Full and Luscious Shampoo & Conditioner (sample size, full size 250ml RRP$5.95) - I have to be honest, foil pack shampoos are my least favourite thing. I am currently happy with my current shampoo and conditioner that I don't really want to try any other ones. I have tried Garner shampoo and conditioner before, and my scalp did not like it at all! They smell great and my hair feels soft after but my scalp would then start itching which is something I try to avoid. Sadly, the brand does not work great with my scalp in general so I try staying away from it. If you love Garnier and have tried this specific range then I hope you're happy with the results as it is an affordable product which won't break your bank! And once again, Lust Have It did as everybody pleased! Everything in the bag except the shampoo & conditioner are glorious products! 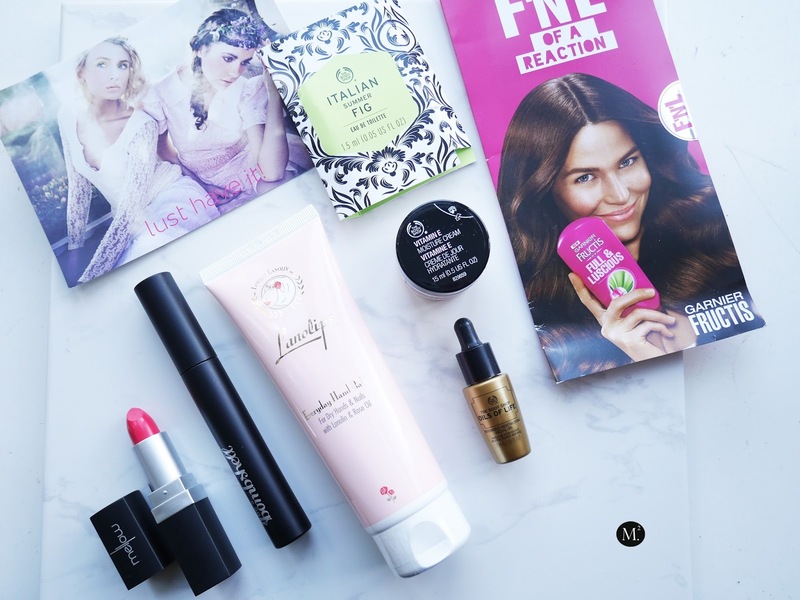 I could not wait any longer so most of the products, I have already tried and I see some favourites! One being the hand balm which came in time just before cold weather starts! Second are The Body Shop goodies especially the Oils of Life, then of course the makeup bits! Omg, in short EVERYTHING I LOVE!